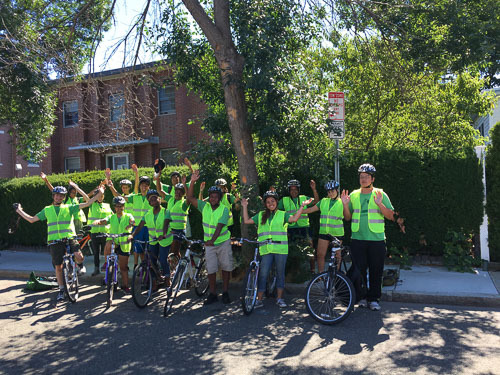 Breakstone, White & Gluck was pleased to help students at Groundwork Somerville ride their bicycles safely this summer. 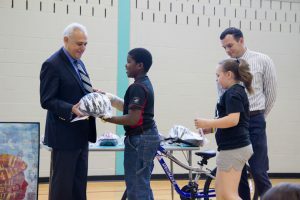 As part of our Project KidSafe campaign, our attorneys donated bicycle helmets and neon safety vests to 25 students on The Green Team. The Green Team is Groundwork Somerville’s environmental youth employment program, where Somerville youth work to make positive social and environmental change, while gaining valuable job training and career skills. 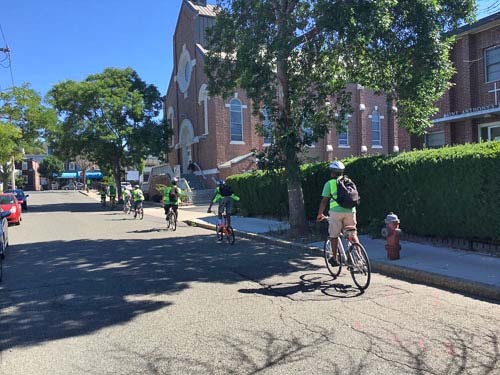 The students spend summers working across the City of Somerville, building gardens, cleaning up rivers and engaging the community about ways to protect the environment and cultivate agricultural and forestry resources. 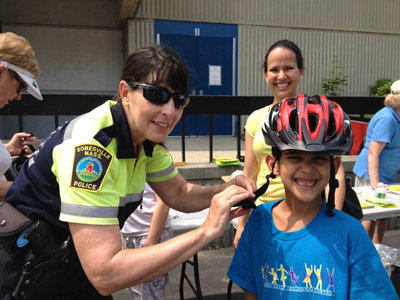 The students rely heavily on their bicycles to travel between sites and bicycle safety is a priority. Among The Green Team’s projects: developing The South Street Farm near the Cambridge border and participating in the planning of Somerville parks. If you shop at the Union Square Farmer’s Market or the Mystic Mobile Market, you may have bought produce from The Green Team gardens. Breakstone, White & Gluck is pleased to support Groundwork Somerville. We encourage you to visit their website at www.groundworksomerville.org. 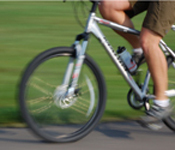 Breakstone, White & Gluck is committed to children’s bicycle safety. 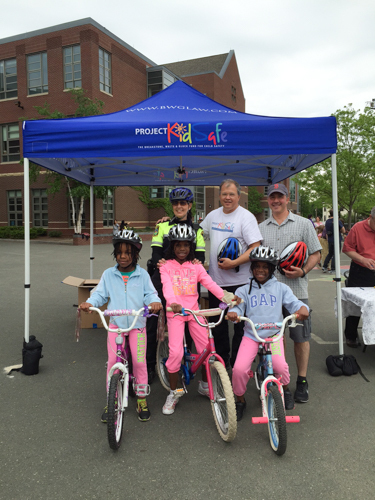 Over the past four years, our attorneys have donated over 10,000 bicycle helmets to children across Massachusetts through our Project KidSafe campaign. 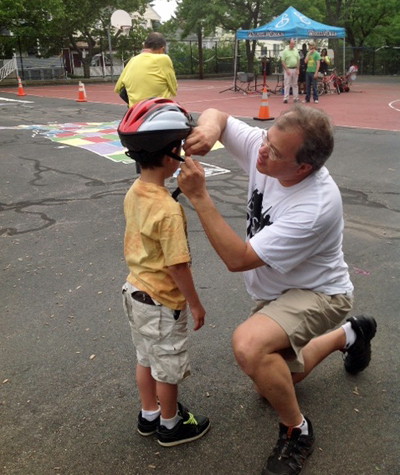 We have partnered with Groundwork Somerville for the past three years, donating helmets and safety vests. 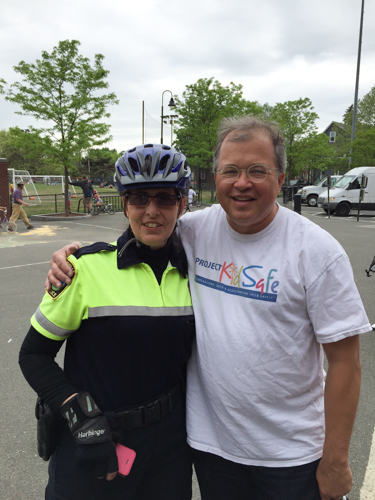 We have been active in Somerville all four years of our safety campaign, also donating helmets to The Kiwanis Club of Somerville’s Bike Safety Day and helmets to every 5th grader who completes CYCLE Kids, which teaches bicycle riding and nutrition skills. In 2016, we were pleased to donate over 400 children’s bicycle helmets in the city. Read recent coverage in The Somerville Times. 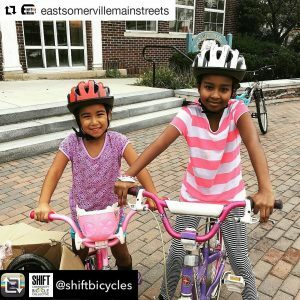 We want to share articles from the Somerville News Weekly and BostonNewsGroup.com about the CYCLE Kids program and our bike helmet donation to the Somerville elementary schools. 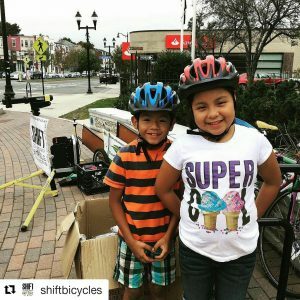 CYCLE Kids is a Cambridge organization which provides curriculum that teaches riding skills, bike maintenance, road safety and nutrition. Locally, the curriculum is offered in Cambridge and Somerville schools as part of physical education classes. Earlier this week, attorney Marc Breakstone attended a graduation ceremony for children finishing the curriculum at the Dr. Albert F. Argenziano School in Somerville. 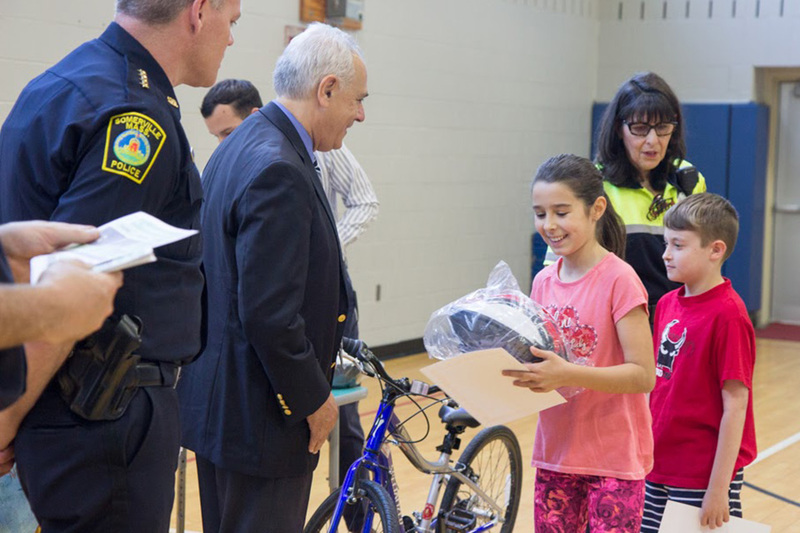 Breakstone, White & Gluck donated 325 helmets to Somerville schools. Attorney Marc Breakstone, Somerville Community Police Officer Marianne Manfra and Somerville Deputy Police Chief Michael Carbral with a graduate. Photo credit: The Somerville News Weekly. 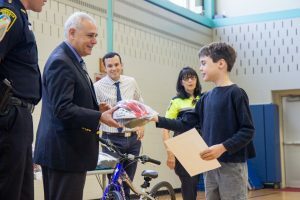 Fifth-graders at Somerville’s Dr. Albert F. Argenziano School graduating from CYCLE Kids program, joined by community officials. 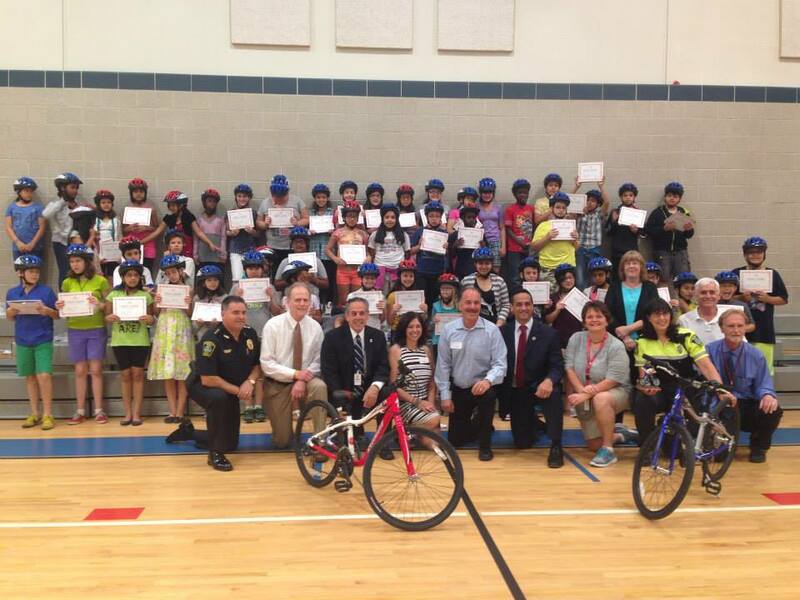 See a video of attorney Marc Breakstone leading the children through a pledge to ride their bikes safely. 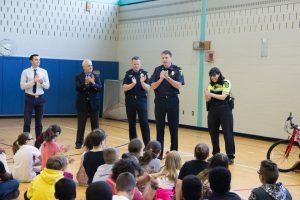 Participating in the event were Somerville Mayor Joseph Curtatone, Superintendent of Schools Anthony Pierantozzi, Deputy Police Chief Michael Cabral, Somerville Community Police Officer Marianne Manfra and CYCLE Kids Founder Julianne Idlet. 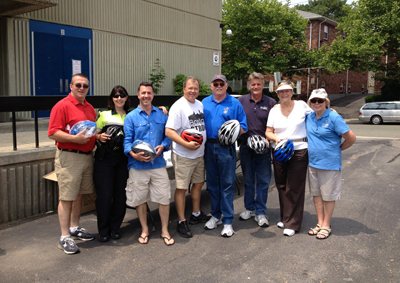 Breakstone, White & Gluck is donating bike helmets to cycling organizations throughout the Boston area in 2014. It is the second year we have made these donations and expect to donate 2,000 helmets by year’s end. 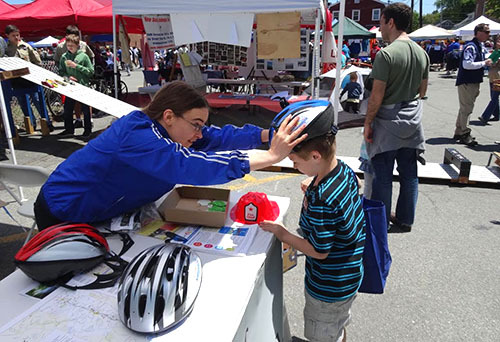 We have donated helmets to Boston Bikes’ Roll It Forward, CYCLE Kids, the Kiwanis Club of Somerville and Worcester Earn-a-Bike along with other organizations. It is our second year partnering with CYCLE Kids. 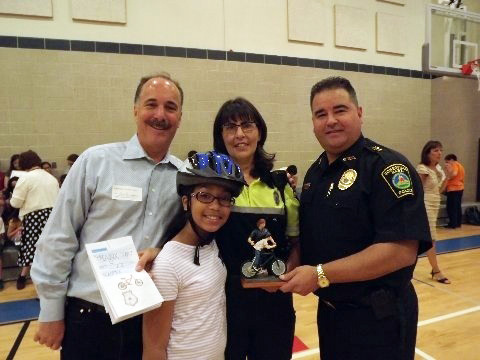 Last year, we partnered with the organization and donated 300 helmets to fourth-graders in the CYCLE Kids program in Cambridge. While CYCLE Kids is based in Cambridge, it is a national organization that promotes healthy lifestyles for youth and families. 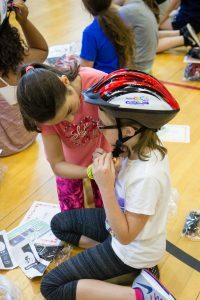 CYCLE Kids uses the bicycle as the vehicle to teach the importance of adopting healthy, active lifestyles. 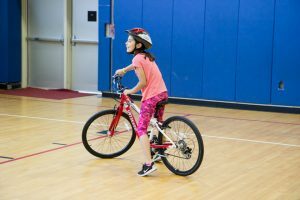 The CYCLE Kids curriculum teaches riding skills, bike maintenance, and road safety. In addition, the curriculum provides practical skills based on a child’s existing knowledge of nutrition such as portion control and how to balance a meal. The CYCLE Kids curriculum is present in 8 states, with 38 programs and reaches 3,000 children a year. What to Do When Car and Bike Collide. Boston Globe. Sept. 25, 2011.